A “341 meeting” is an initial meeting of creditors so-called because it is required under Section 341 of the Bankruptcy Code in a Chapter 7 case (see LegalSpeak, p. 209). The consumer-debtor also must attend the meeting. The bankruptcy trustee presides over the meeting and asks various questions of the consumer-debtor under oath regarding his financial affairs. Often creditors do not show up at these meetings. 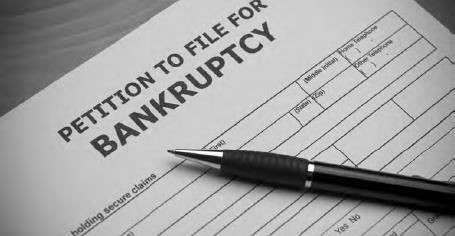 Filing with bankruptcy begins with deciding between Chapter 13 and 7 based on your eligibility, finding an attorney, completing the paperwork, and working patiently with the court. This can be a long and complicated process (iStock).